C-section for fetal bradycardia (noted during a routine follow up visit at 33 wks gestation). What is the basis of this bradycardia? 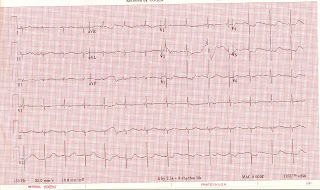 Clue 1: Lead V1 has the best trace to make the diagnosis.